From seven towering mountain ranges in the backdrop to the picturesque River Tagus flowing alongside, Lisbon is blessed with abundant natural heritage sights. The largest city and capital of Portugal, Lisbon has a sparkling downtown suburb with impressive modern-day constructions, and the imposing medieval European monuments in its midst. Take a tour across this timeless city in one of our car hire vehicles and you’ll not be disappointed. Lisbon boasts many architectural marvels, some of which date back to the 15th century. The Castello de Sao Jorge is a palatial regal mansion not to be missed, with its beautiful landscaping and European mosaics. The Ponte Vasco da Gama is the longest bridge in Europe and is known for its viaduct and mesmerizing scenery across the Tagus. The Aqueduto las Augas Livro is yet another aqueduct spanning the city offering great picnic and camping sites. For more tours around the Old City of Lisbon, you can book one of our specialised car rental services at affordable prices. The seven hills surrounding Lisbon provide plenty of exotic viewing points with scenic locales and the majestic skyline of the city. The Santa Lucia offers wonderful views of the River Tagus and the Alfama, whereas from the Sao Pedro de Alcantara vantage point you get to see an unobstructed view of the Castello de Sao Jorge. You can trust our car rental services to take you on a road trip to the mountains and help you access all the viewing points for a Lisbon birds’ eye view. Also called the Parca Dom Pedro IV, the Rossio is an impressive Medieval Town Square with a gigantic statue of Pedro IV at its midst. The area is basically a tourist trap with buzzing promenades, arcades and shopping markets all targeting the holiday crowd. You can also view theatre shows and street shows sipping a hot Mocha at one of the quaint cafes in the square. Sure enough, Lisbon has a huge list of museums and art centres to be visited, but the Oceanario takes prominence over them all by being the single largest aquarium in Europe. There are huge and exotic fish species, otters, penguins, sharks and other animals on display in conditions very similar to their natural habitat. The Aquarium is a wonderful picnic spot as well with its manicured gardens and ornate plants. The city of Lisbon has many more attractions waiting to be discovered and what we’ve listed is simply the tip of the iceberg! 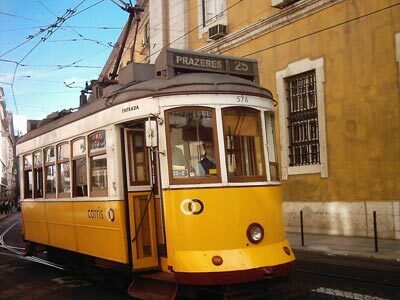 With our car rental services in hand, you can hope to explore Lisbon at its best. In Lisbon, many car rental companies offer different types of cars, from small cars to large SUVs. Rentalcargroup.com has made it easy for you. Simply filter the results. If you are looking for an SUV, click SUV and you will see all the SUVs you can choose. You can also see if the SUV is a 4 * 4 guaranteed, because not all SUVs are guaranteed 4 * 4. If you want a guaranteed diesel car, use the search filter and you will have the guarantee that you will get a diesel car. Last month, the average car rental length in Lisbon was 5 days. The average rental car length in Lisbon is 5 days. The most booked rental car type currently in Lisbon is MINI cars. Last year, the most booked rental car type in Lisbon were ECONOMY cars. How much does it cost to rent a car in Lisbon? Last month, the average car rental price was 156 USD. Last year, how much did it cost to rent a car in Lisbon? Last year, the average car rental price was 222 USD. What is the current average daily price to rent a in Lisbon? Last month, the average rental price was 35 USD per day. How much did it cost to rent a car in Lisbon over the past 12 months? Last Year, the average rental price was 46 USD per day. The car rental companies available in Lisbon are: surprice. See below last 5 customer reviews. Our customers rated Lisbon Car Rental with an average of 8.00 based on 1 ratings. Insurance rate per day is over $20 which increases the rental per day if you accept it.